When it comes to doing well at an online casino, there are essentially three different steps that will help you get off to a good start with that online casino. The closer you are to getting off to a good start, the better your entire experience will be. That is why these three steps involve downloading the software package, signing up for an account and claiming your new player welcome bonus package. 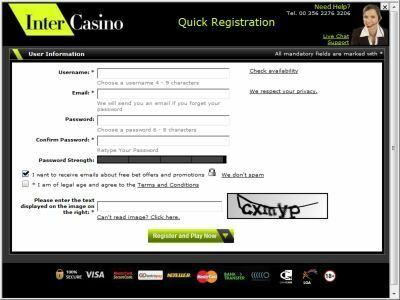 Downloading the software package from an online casino is very easy to do. If you have ever gone through the download and installation process for any file that you’ve downloaded from the internet, you shouldn’t have any problems going through this process. All you have to do is download the package from the main site of the casino, install it and then you will have it readily available on your computer. These days, many online casinos will actually offer a flash version of their casino that does not even require a download to be used which is something that could appeal to a potentially wide range of people. Signing up for an account is the second thing that you need to do. This is also very easy and is only slightly more involved than signing up for an account with an e-mail or a social networking website. After the initial signup, you will need to register a payment method that will allow you to make cash transfers to and from the website. You can use any of the payment methods accepted by the website and in some cases you might even be able to use others if you e-mail support and get special permission. These instances are rare though, so expect that you will end up using something on the approved list 99 times out of 100. Just about every online casino these days offers some kind of welcome bonus for new players. For some casinos it will be free bets at the slot machines. For others it will be a single bonus. Others still will offer a series of bonuses or maybe even a period of time during which you get a much better rate of redemption with loyalty points earned by making wagers at the online casino games. No matter what the bonus offer is, you should be aware of it before you start playing. This will allow you to see not only whether you can use the money before you clear it, but also what it takes to clear the bonus before you can actually withdraw it. Most online casinos will require you wagering some multiple of the combined deposit and bonus amount before you can withdraw the bonus. Many will also exclude lower house edge games like blackjack from the wagering statistics. The more you know about that, the better off you will be. Now that you know some online casino basics, you should have no problems with getting up and running with every online casino the internet has to offer.